As if acne weren't bad enough, a further insult to pimples and blackheads are the scars they leave behind. Dealing with acne scarring can sometimes be just as difficult as dealing with acne, but the good news is there are multiple treatment options available. The approach you take to deal with your acne scars will depend on the severity of the scars. More severe scarring may necessitate a trip to the dermatologist. But we'll start by discussing some over-the-counter options for less serious scarring. Everyday acne scars from non-cystic acne will generally leave small red, bluish, or greyish spots on the skin. So in this case, you'll need to lighten this hyperpigmentation. 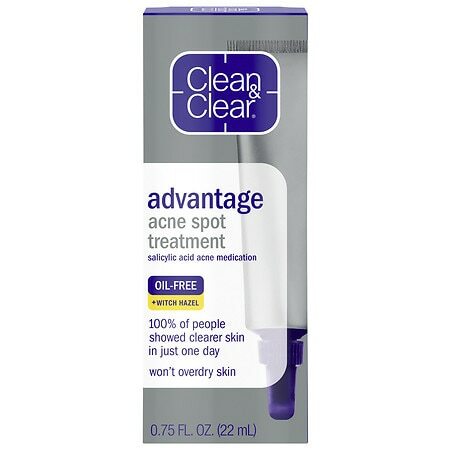 Always make sure that the acne is not "active" and has cleared up before applying a scar treatment. The best over-the-counter products for acne scars contain either; Kojic Acid, Vitamin C or "Ascorbic Acid," or Arbutin, which is also known as "Bearberry Extract." Always follow the product directions for the best results. If the over-the-counter treatments aren't doing the trick for your scars, you may need to see a dermatologist for laser skin resurfacing sessions. You'll need at least two or three sessions to see the effects, but this process should stimulate the formation of collagen, which will help rebuild the skin in the scarred areas and fill in any "craters." There are also filler injections, which again, are performed by a dermatologist. These injections literally fill in the craters and indents left by severe cystic or comedonal acne and must be done every four to six months. The scar treatments above will help tremendously with the appearance of acne scars. But one thing that also cannot be overlooked is the impact that "picking" at acne will have on the development of scars. In fact, most pimples will not result in scars of any kind as long as you approach them with a "hands-off" policy. In other words, never try to pop zits, and as much as possible, avoid touching them at all while they are "active." Only if an advanced whitehead or blackhead is truly making you self-conscious should you do anything about it. To safely pop a zit to avoid scarring, gently clean the area, then put a warm, wet washcloth over the zit for 5 to ten minutes. If the node does not naturally come out at this point, use a sterile sewing needle to gently coax it out. If it's not working, never pick at it. Instead, leave it alone. If you're a woman, avoid trying to pop the pimple altogether, and simply use a light hand to apply a non-comedogenic concealer. Patience -- an often forgotten remedy for acne scarring -- is another key to seeing scars disappear. By following these guidelines and using the treatments mentioned to take care of acne scars, you'll see a marked difference in the appearance of scarring and enjoy skin that is much smoother and more evenly toned.